Now I will keep it short and just say: thank you! When my marriage ended (because it did end) and I was too ashamed to talk about it to anyone in real life, you and your readers gave me the push I needed to take action. Or not to take action. I let go... Because you can not be married to a person that doesn't want to be married. All my thoughts about marriage were about "making things work even when it's really really hard" and "being there no matter what." So I felt like a complete failure in marriage. But slowly but surely I don't anymore. Because marriage does not mean hanging on to my husband when he was so unhappy and desperate to get out. So... I let him go before things got out of hand. Now I can think of our wedding day as one of the most beautiful days of my life. We tried, but it didn't work out. And that's really sad and really hard. But also real life. Thank you again for your spot on advice. 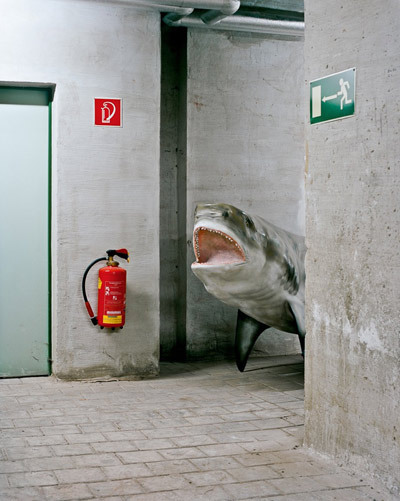 Image from "Skeletons in the Closet" by Klaus Pichler via kidchamp. If you're into taxidermy (and who is not into taxidermy??) you can see more over here. Can I just say how brave you are? I don't know if I'd have the courage to face my marriage potentially ending and accept that I needed to give my husband his space. Terror would make me cling, not step back and give him the space he needed to figure it out. I mean, I know ESB gave the advice, but brava for having the bravery, the courage, to follow it. And best of luck to you - so sorry you've had to go through this experience but my god, do you sound like a strong lady who'll get through it. I'm with Libby. Lots and lots of internet hugs to you, lady. You seem incredibly brave and emotionally intelligent. I wish you all the very, very best.